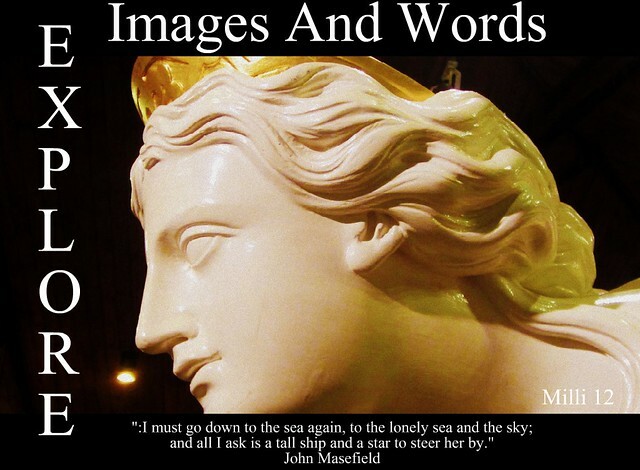 Images and Words is going from strength to strength as a Multiply Group and we are looking for new members. If you love to dabble in photography and would enjoy placing a quote on your Image then please visit our group Images And Words. A new theme each week usually announced sometime on your Sunday with a whole week to dabble and create your New I&W creation. Some of us are so excited we get onto the task very quickly however if time does not permit then you have all week to post your I&W. Please note this banner is in the larger format and can be made smaller. Join with us and we will help you to achieve your desired outcome. We have had a Banner Theme this week and although I have made up a banner for the original post I wanted to make something a little different for my personal entry and this is it. That's a really good one, Milli !! Thanks Mitch I finally had time today to make one lol..things were hectic here. Have a good day. Terrific introduction and invite, dear! I love this one, Milli! this is wonderful, Milli.....the color contrast against a blk background is stunning! Every element is excellent in this design!!! I love this, Milli...and the verse. It's wonderful! I put in a plug for our group whenever I see photographers out and about. I don't know if any of them have ever joined, but it never hurts to mention the group. The neatest one I have ever seen. I love the bold words and the extra one Explore. Love your black background and the header against it.